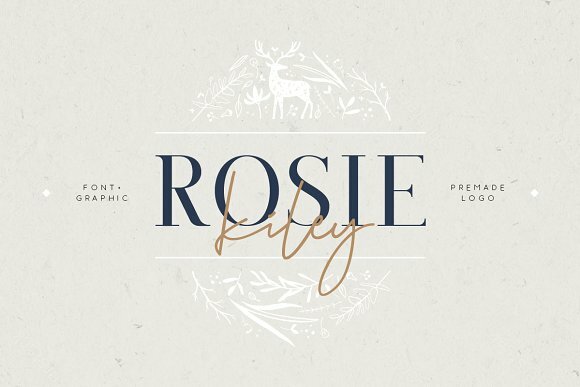 Rosie & Kiley script is modern feminine font, every single letters enjoy been carefully crafted to perform your text looks graceful. With modern script style this font will perfect for many different project ex: photography, watermark, quotes, blog header, poster, wedding, branding, logo, fashion, apparel, letter, invitation, stationery, etc. This font including alternate glyph. You can access the alternate glyph via Font Book (Mac user) or Windows Character Map (Windows user), I’ve been establish the link tutorial inside the zip file. A font description published on Monday, July 16th, 2018 in Fonts, Script by Andrei that has 1,375 views.